Omega-3 fatty acids found in fish oil promote healthy cholesterol, which helps protect your heart. The best way to get fish oil in your diet is to consume at least two servings of fatty fish each week. Fish oil supplements can become rancid and must be stored properly. The expiration date listed on the package refers to the unopened product. Once you open fish oil supplements and expose them to air, they gradually become rancid. Omega-3 fatty acids are chemically unstable and highly prone to oxidize and degrade over time during storage. In general, it is estimated that fish oil supplements expire roughly 90 days after you open them. Light, heat and oxygen are the primary factors that influence degradation rate. Even stored in the dark, fish oil may oxidize unacceptably within a month of storage, according to a review published in the 2013 edition of the journal "BioMed Research International." Highly oxidized fish oils may have an adverse effect on cholesterol levels, according to the review. Because fish oil is highly prone to oxidation, it's best to purchase a month's supply at a time. You can check your capsules from time to time by smelling them. Throw them away once they begin to emit a strong or spoiled odor. Storing fish oil supplements improperly accelerates the expiration. Follow the manufacturer's storing instructions. 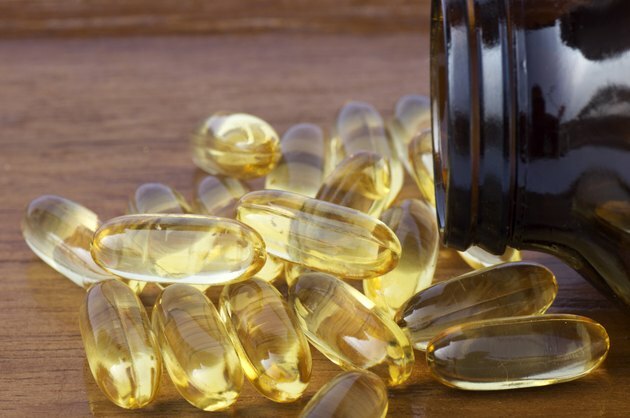 Some fish oil supplements must be refrigerated, while you must store others at room temperature away from direct sunlight. Can You Eat Meat After Sell-By Date? What Are the Benefits of Gelatin Capsules?